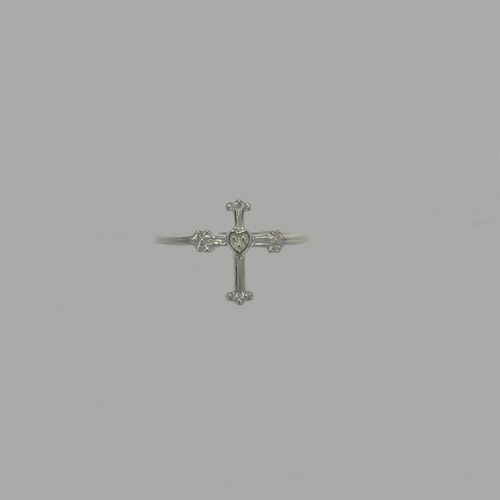 Desc: Sterling Silver cross ring. 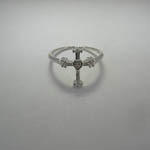 The cross has a heart shape in the center and has three points at each terminal. The ring has a bright polish finish.